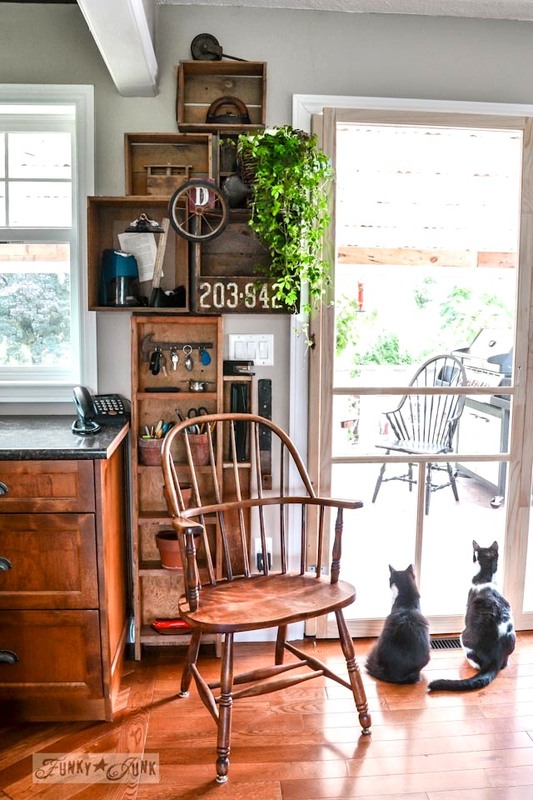 How would you repurpose these junk finds? Can you hear the screechin’ breaks?! The gal was moving mid week, and wanted everything gone as soon as possible. I was not the first person to arrive there, but she was still hauling stuff out of her home, so I did get a few first picks! Feast your eyes on ONE TRIP’S worth of stuff! Wow. It filled up the back of my truck! What a haul. So let’s peek a little closer into all this junky goodness and play “What would you do with ___? I’ll give you my own take as well! Maybe it’ll give you some good ideas with your own like minded junk hangin’ around. 1. Red metal rack with clips. Cool! The clips are super strong and it’s in excellent condition. They’re the real deal. There’s even a Sunripe label on the big one. They are sturdy, clean and in great shape! And the little one even has a wooden handle. Adorable. Me / I was thinking of hanging the small one over the large one with twine for hanging baskets. Holding what, I don’t know. Also great for stashing rolled up towels in the big and soaps or shampoos in the small. This one’s authentically old, with a big ‘ol rusted hole in the bottom. Me / It’s perfect for the garden as is. Punch out the bottom even more, and grow something tall out of it. Or fill it up more with soil to give your garden height. Hmmm… maybe fall mums! Kinda would have the same vibe as these planted kettles. 4. 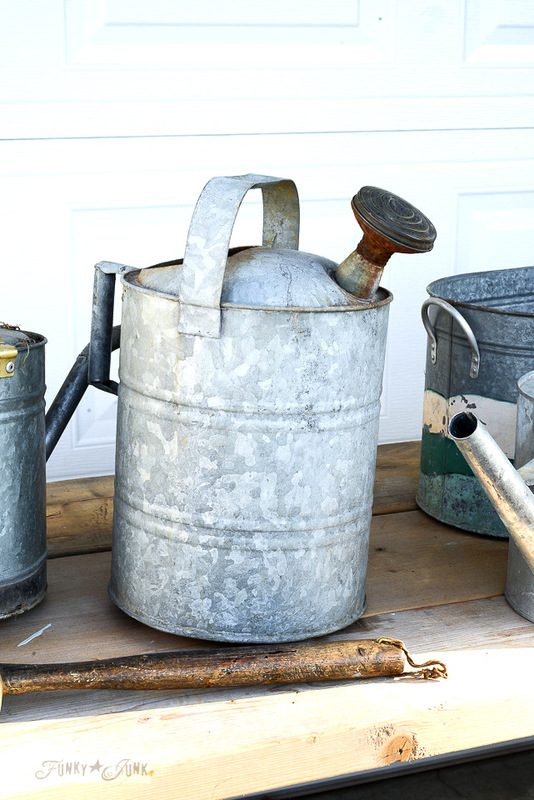 4 watering cans. Four! Me / I don’t know. I was thinking about making some kind of patio lights out of them, but now fall has hit. Might leave these until next spring. Me / maybe a pendant or lamp shade? Like a smaller scale of this funnel light. Here’s a close up of the vintage one. Isn’t it swoon worthy? The bottom bulges a little, but could be bent back into shape again. 6. 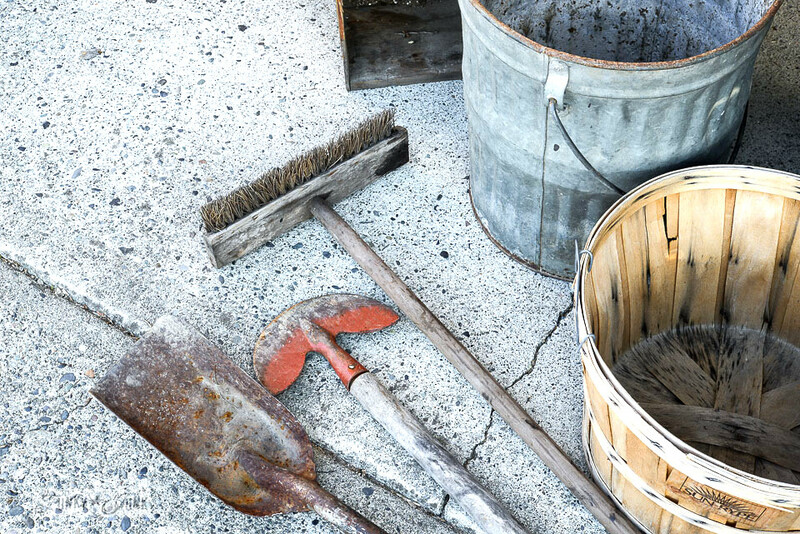 Rusty old gardening tools. Me / I love collecting them to lean against my garden shed out back. But the pole on the broom is in great shape to hang something. Hmmm…. It’s cute! 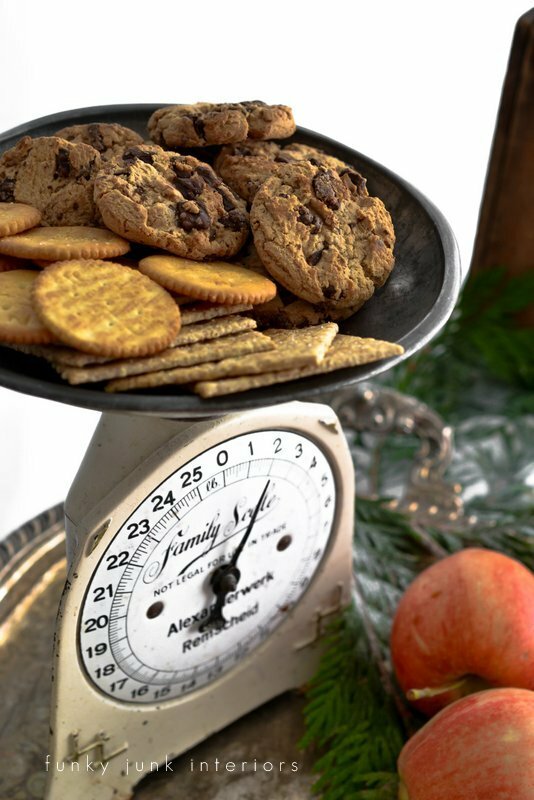 Someone on Periscope suggested to use it for serving food, much I did with this Holiday Entertaining idea with the scale. LOVE that idea! I’ve always loved layered plates on a table top. Numerous, fat candles of different heights would also be fun. I did in my kitchen HERE. What would YOU do with ______? 3. 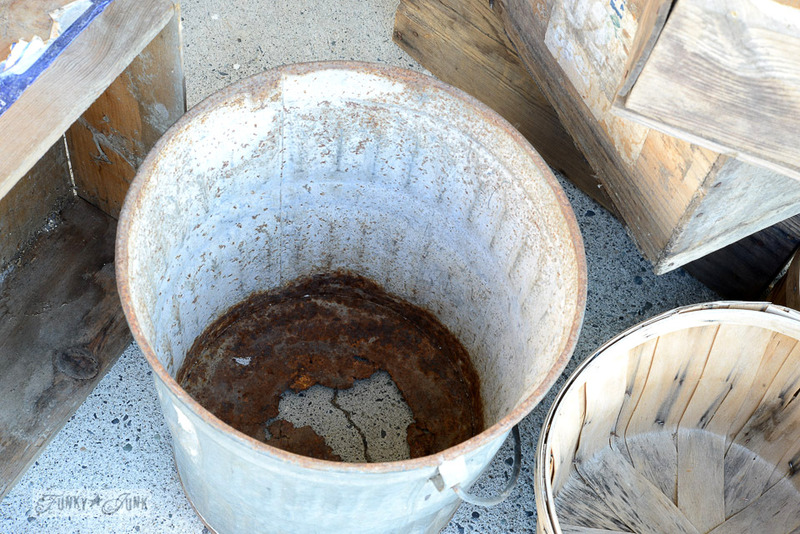 Galvanized bucket with the hole. that oil funnel would be one awesome lamp! you scored! I need to shop when I go back home! I’m currently working on making an old crate into a wagon. Take the biggest crate & stencil the side with something for Fall & look for some old wheels from a rusty wagon that has seen better days. LOVE the red clip stand!!!!! I make handmade cards and this would be AwEsOmE to display some of them!!! 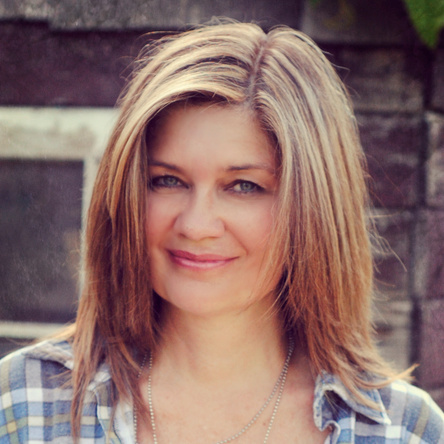 All of the other goods…..I am positive you will find great things to do with them. Use as a sock drier?! Not sure about that one. You could maybe take it out to your events you do and use it as part of a game. Like a lucky dip. People pay a dollar an envelope and only a few of them contain a voucher for one of your work shops or something. Get a cider press and use them for apples to display next to it. Or fill with lovely red apples for a fall porch decoration. If you still have that massive cow sign in your garden, stencil a “Milk” design on it, and fill with white flowers placed near to your cow. Make the biggest into a working water feature, and the small ones can hang together on a nearby fence just looking nice. Hang the other 2 as planned, but use the scoop one for shovelling coal/wood onto an outside fire pit. You can make one of those I’m sure if you don’t have one! Turn it upside down, and make a lantern or chandelier/candle holder type thing. The feet could be drilled to attach it to the roof/ceiling. Spice drawers. 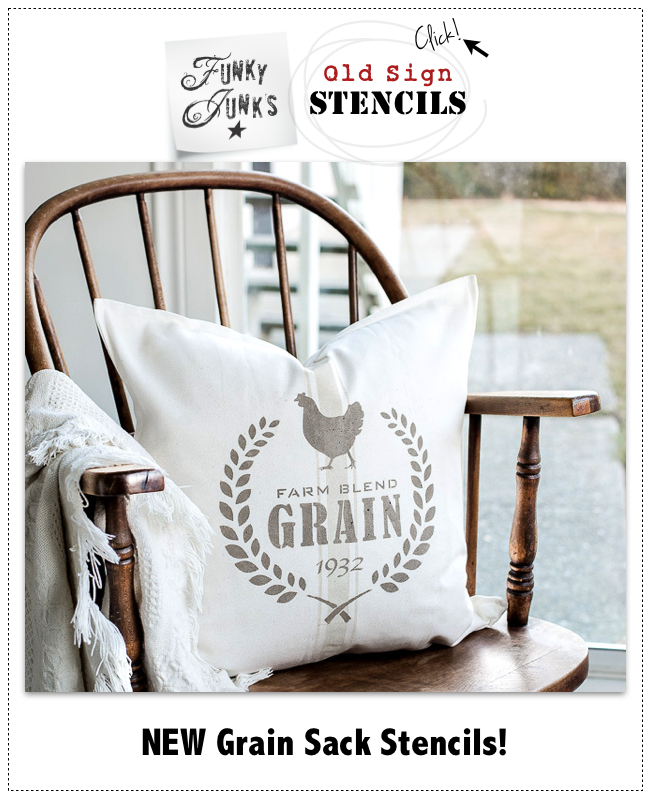 Herb and spice stencils would be a great addition to your range. I would use the white plant stand as a small table on my side porch. Been looking for one myself. It is windy on our porch so hopefully the metal won’t blow away. 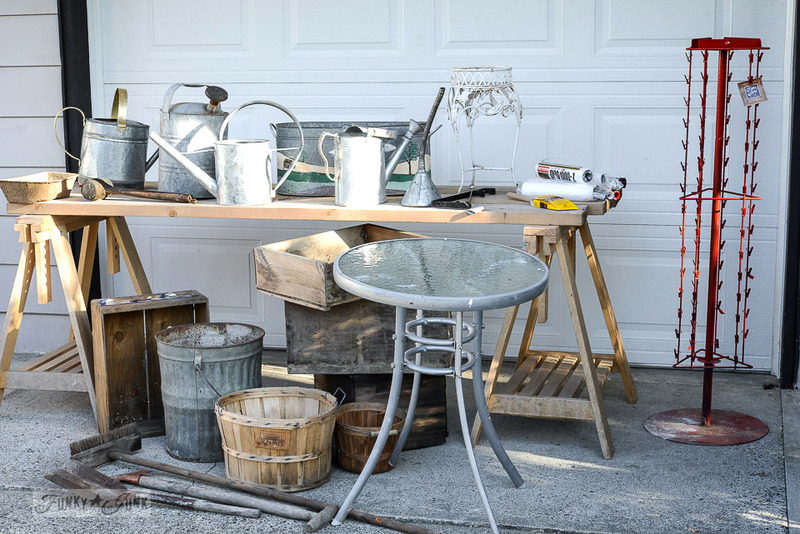 awesome finds Donna–I am wondering if the watering cans could be made into a fountain? Donna…wow…that was your lucky day!…A lot of goodies for you to transform into a lot of something wonderful! #7: hang it upside down and use it as the frame work for a ceiling fan mounted on a tall ceiling. The base of the fan could be attached to the flat part of the table top? As soon as I saw the red clip stand I thought…..Christmas card holder or it would look amazing in my office as a business card holder. What a haul. I know you said you tried lights on the red metal stand and that didn’t work, but could you clip greens onto it and make a Christmas tree? The rest of it? Wow! I’m not sure. You’ve got to get some succulents in there somewhere. 1. Use the clips to hold those inexpensive cotton garden gloves (the cute ones with flowers or some other print) that you get at the dollar store. You might not use every clip. 2. Use the clips to hold pot holders or tea towels. You might not use every clip. 3. Use the clips to hang seed packets with colorful fronts. You could even find heirloom seed packet prints on-line, print them out, and staple your seeds in their ugly packets to the back of the cute paper prints which would be clipped with their front showing. 4. 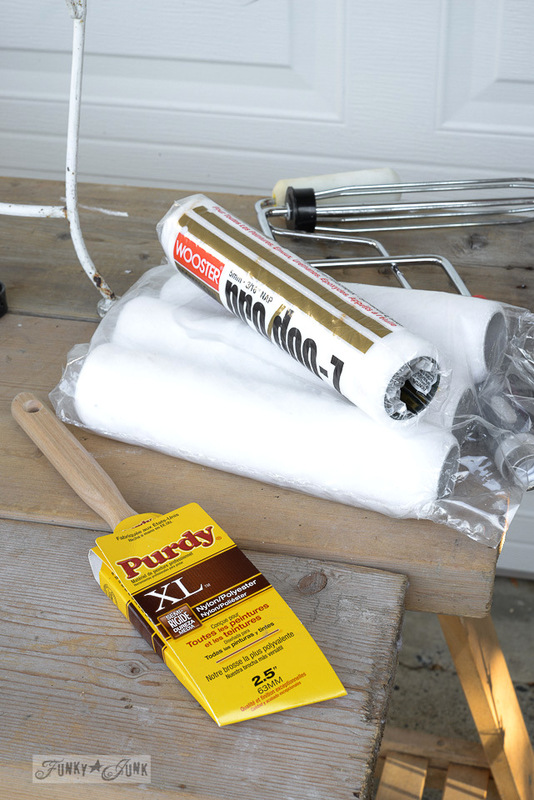 Make heavy duty little muslin cotton or jute bags that are wider than they are long and hang them from the clips to hold artist paint brushes, pencils and pens, envelopes, rulers, receipts, etc. You would not use all of the clips because the bags would cover some. For the galvanized bucket, I would not punch out the bottom because it adds support. Instead, I would paint the bottom that is rusted with rust-inhibitor such as Jasco’s rust inhibitor and then I’d spray paint the inside of the bottom to prevent further rust. Next I would cut a piece of hardware cloth to “fit” inside the bottom.–The hardware cloth would probably go up the sides a little to hold it in place. I might put burlap or coir in the bottom over the hardware cloth and then I’d plant it with flowers or a flowering perennial. Great stuff.. the read rack with the clips would be so beautiful with a mix of photos, postcards and other paper miscellany.. souvenirs from recent trips maybe? I actually have some of the old apple/berry baskets like you show here. I used my large one on the porch last fall and filled it with mums and straw, then at Christmas with pine cones. We use the smaller ones we have for, you guessed it.. picking veggies from our garden! Have fun making stuff..
You’ve made my junking heart smile!! Oh my goodness, what a load. I know exactly what I’d be doing with that red clip stand. I’d use it in my booth for displaying my earring cards, and the crates could haul and display stuff. I’m thinking the plant stand would be cute as a side table, just add a few chunks of your salvaged wood to the top. Spray the red clip stand white, disress it a bit and use it to display Christmas cards?.. The metal cans, buckets, etc. I would paint and decoupage, except the washboard surfaced rusty bottomed one. That’s pretty much a wash. No pun inteneded. Old wooden boxes are perfect for that. You can always put wheels under them too. I love that red metal rack with clips! Not sure what I’d do with it but would have bought that in a heartbeat hoping inspiration would come later! I (especially) love vintage displays – the red rack ! I would use it in my bedroom for necklaces, scarves, belts etc. Would also be great in a family mud room in the winter for Gloves, Hats, Scarves etc. 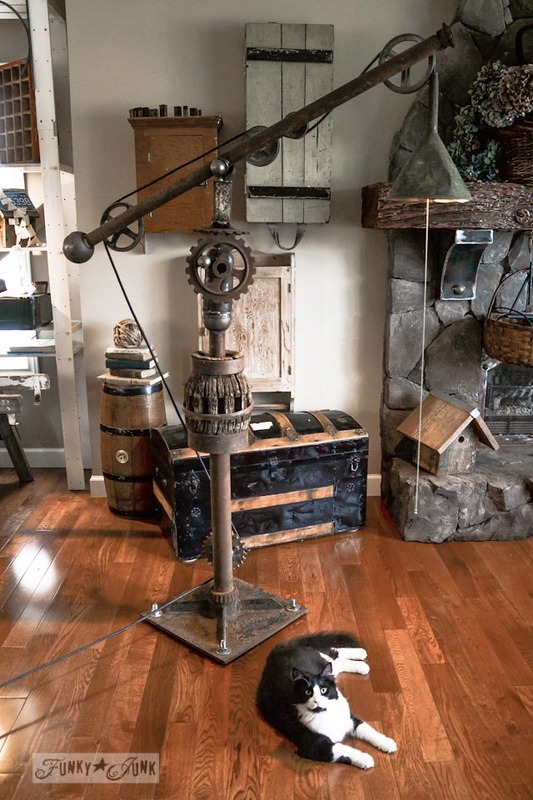 Or maybe even refashion into an industrial looking floor lamp? With fabric clipped around it as the shade? I usually stack & stagger my crates on their sides and use them here and there around the house as extra storage – Have fun with your finds! 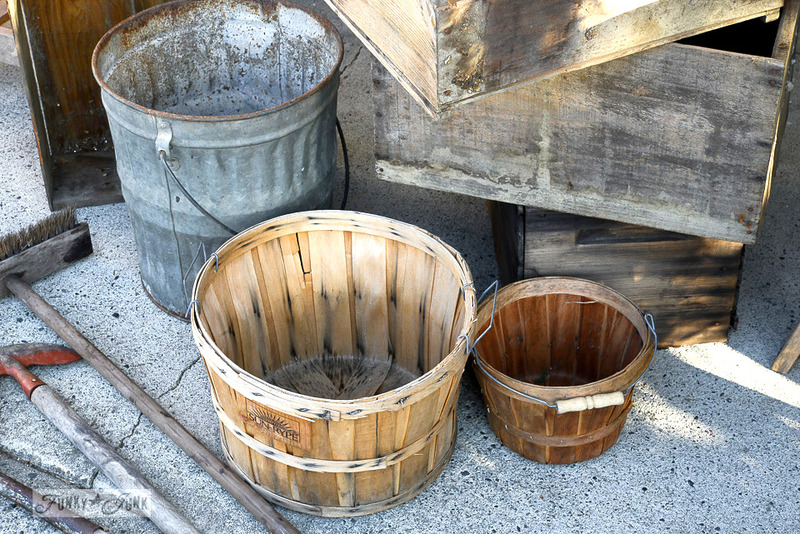 I would use the galvanized bucket to hold my rolled up floor plans. The hole doesn’t matter, because it would be standing in my office. It also be used for wrapping paper. a trash can, with a plastic one inside, or a planter indoors, with the pot and tray slipped inside. I am not sure about all the rest but the red clip rack could hold lots of colorful scarves (would not have to use every clip) and make a fabric tree in a way! I would paint it white or gray to not be so bright and over shadow the scarves. 1. 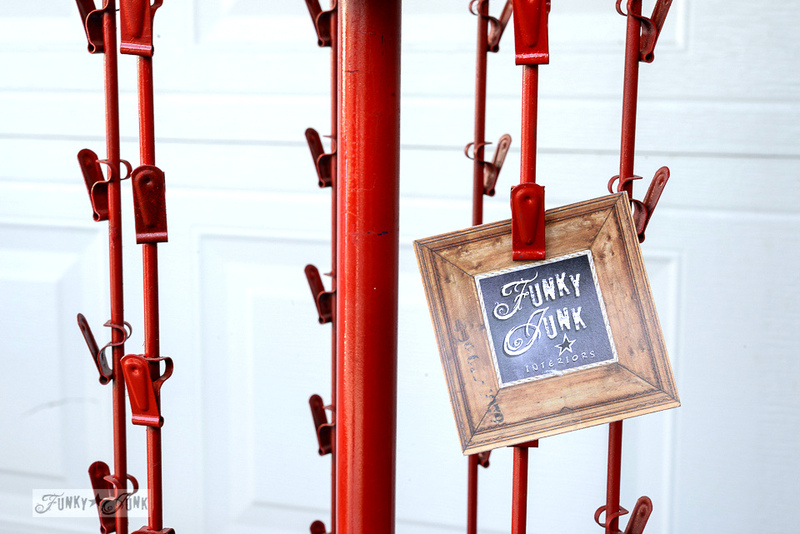 Red metal rack with clips–perfect for displaying photographs. 2. 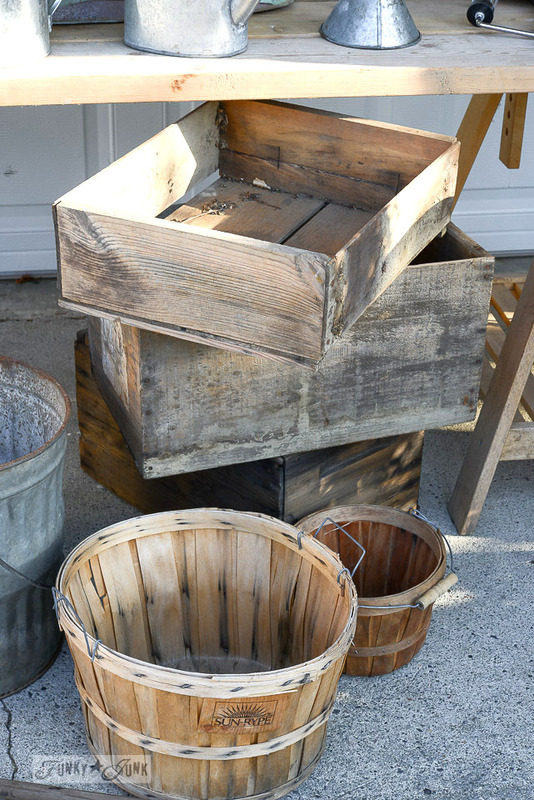 Apple baskets–clean them up, turn them upside down and add light fixture and hang in a corner or porch for extra lighting–or add a burlap and fabric liner and use for storage for towels, magazine, toys etc. 3. 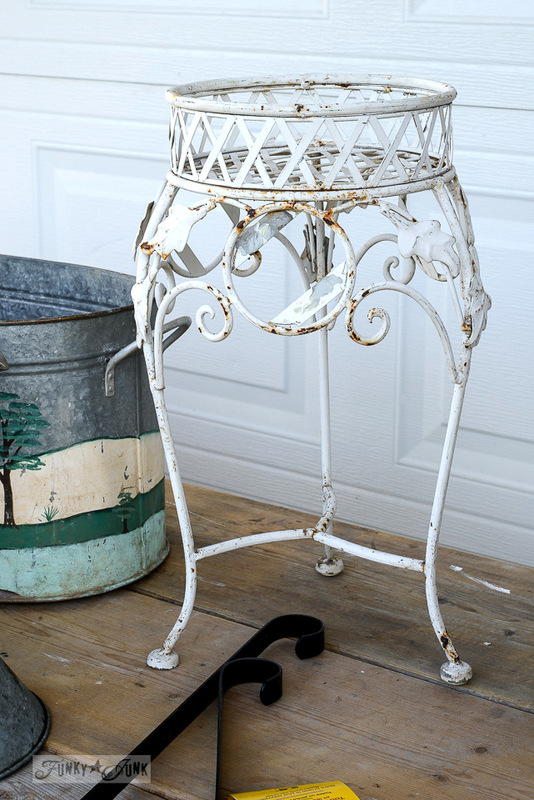 Galvanized bucket with the hole–planter in the garden for sure! 4. 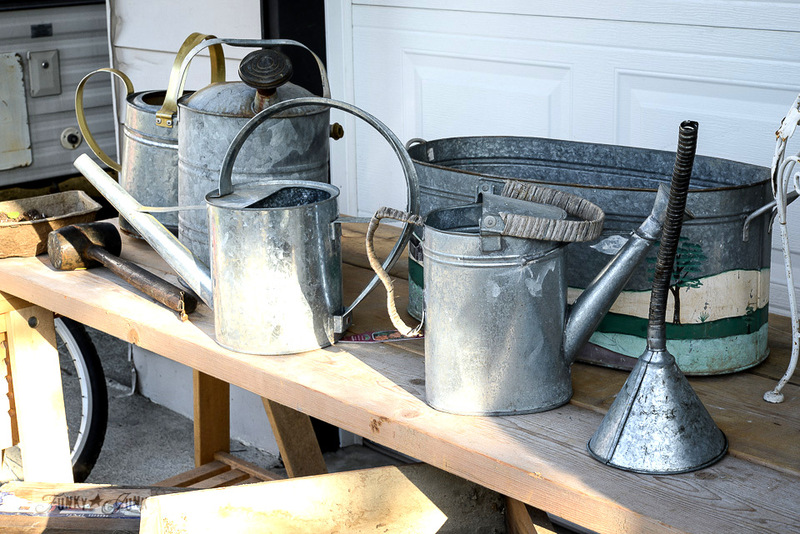 Watering cans–I like to use seasonal artificial floral in these–paint a rectangle or other shape with chalkboard paint and add a seasonal greeting with chalk. 5. Oil funnel–water feature perhaps?. 6. 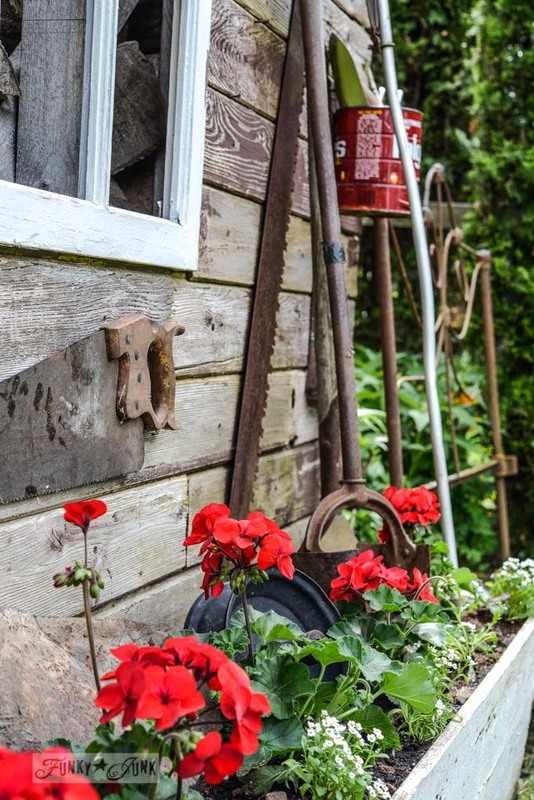 Old garden tools–I like to chop the handles off these leaving about 7-8 inches and put them in a flower pot–then paint a little greeting or saying on them. 7. White plant stand–I would add some type of wood top and make into a table. 8. 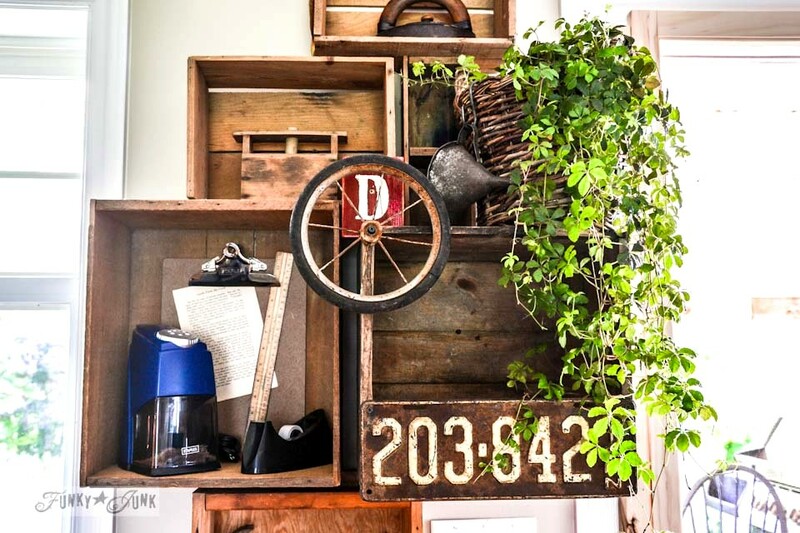 Old wooden crates–sometimes if it isn’t in great shape I dismantle and use the wood for signs. 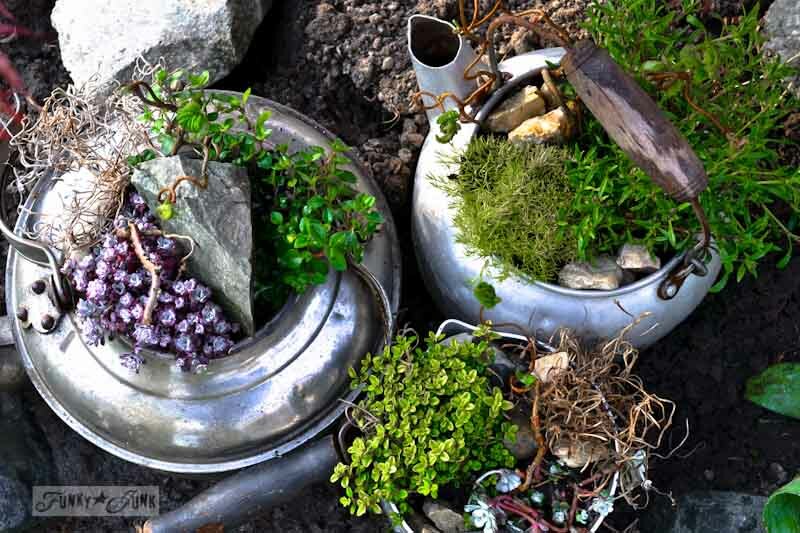 You could also attach them to an old ladder as bins for storage or a planter. I’ll be waiting to see what you do with all those treasures because I have almost all the same things at my home. Some are planted, some are hanging out on the fence and some are just making the porch look good. Just the kind of things we love and have collected for years and years. Oh, I don’t have the type of mind that can look at something and imagine it repurposed as something else…that’s why I come here…to steal ideas from YOU! 🙂 All I know is that this is a super-amazing score and I can’t wait to see what you do with it all! I like your idea of using the rack of clips for your stencils. I could also see it used as a sort of Christmas tree, holding vintage Christmas cards and ornaments with, perhaps, a grapevine star on top. I also like the idea of using the ultra-cute watering cans in some sort of water feature. Whatever you choose to do with it all, I know it’s going to be awesome and I’m going to want to copy-cat it…hehe! 1. Red metal rack with clips. Would use for all my old family photos! Oooooh that red clip tower. Your photos are beautiful. This is the perfect picture frame. Clip all your Maui pictures on it for now. Change them up as you click new ones. I love pictures I can handle and put on my frig but I would love them so much more on that clip tower. What was that lady thinking to give that up? What a SCORE for you! I would hang the funnel from the ceiling and put a ball of string in it coming out of the hole. Over my work bench would be handy. Looking forward to what you do with them all. 1. 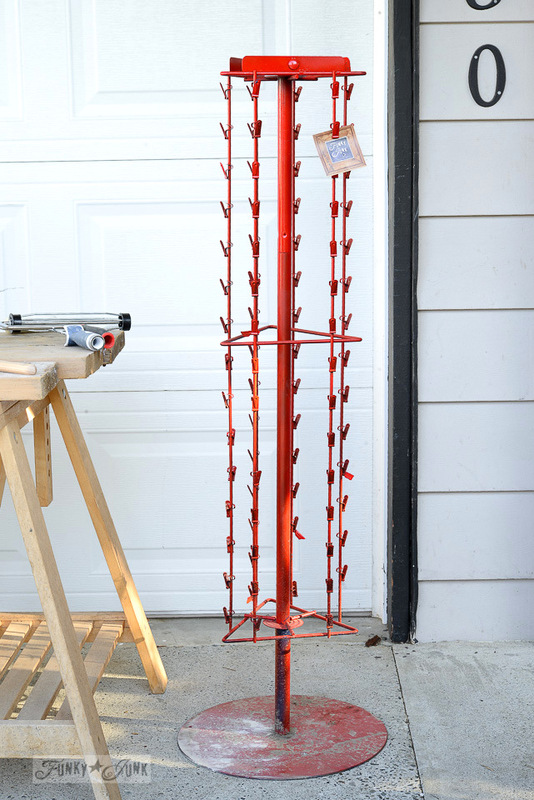 Red metal Rack with clips – I would display hankies on this piece. I’m so envious of all the great junk you find for FREE. You must live in the best part of the country. boy did you score! such a lucky ducky!! love your ideas for the baskets! especially the small one hanging over the large one! I have a thing for baskets! 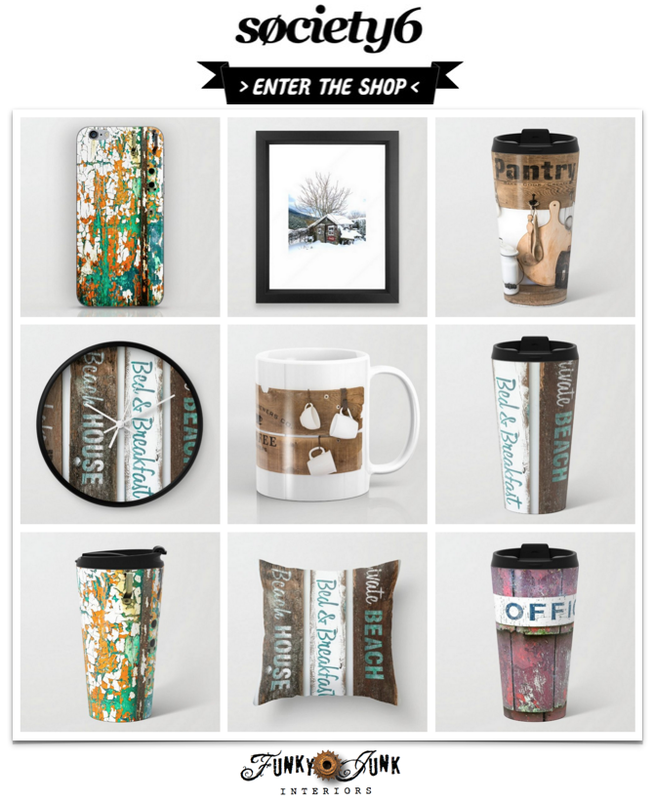 they’re scattered throughout my house with lots of different things……..and just some empty ones too. can’t wait to see if you come up with a cute idea for the small garbage can! I have one and was just today trying to think of a way to repurpose mine! look forward always to your posts! First thing that came to mind with 1) clip stand…if the clips are big enough I would so use it to store/display/dry all my families cute knit gloves/mittens/hats. Wouldn’t that be so cute and practical?! I’d take the red metal rack with clips and turn it into a revolving photo display. The white plant stand, I’d paint raspberry or purple, glue a glass top to it and make it into a table. Take the old wooden crate, add a leather handle and use it as a tray to carry drinks, etc., etc.,. The apple baskets, we just call bushel baskets and use for produce of various kinds. You could paint it and use it to put pillows in or leave it plain and put pillows in it. Take the galvanized bucket with the hole and sink it in the ground just a little and plant wave petunias that would spill over and look gorgeous! The garden tools I would use! or put with your others. The oil funnel would look nice with your other lamp as a lamp!